The Trump administration’s unpalatable plan to revamp the Supplemental Nutrition Assistance Program (SNAP), commonly known as food stamps, could bring not just nutritional but also health consequences — specifically at the pharmacy counter. This would apply to low-income Americans who receive at least $90 a month from SNAP, which translates into approximately 80% of all the food assistance program’s recipients. Proponents claim this would cost much less than what SNAP beneficiaries now pay for food at retail stores and save the program well over $100 billion over 10 years. Unsurprisingly, the proposal ignited a firestorm of criticism, and it’s probably a fair bet to say that the plan, if implemented, would further impact the already low participation in SNAP. But it also could impact medication adherence. In a new study, researchers from Impaq International found that expanding access to SNAP may reduce rates of medication nonadherence. The study, titled “Cost-Related Medication Nonadherence for Older Adults Participating in SNAP,” was published in the February 2018 issue of the American Journal of Public Health. Even after adjusting for key factors behind cost-related nonadherence (CRN) such as health conditions, out-of-pocket health care costs and prescription drug coverage, SNAP participants on average were 4.8 percentage points less likely to engage in nonadherence than eligible nonparticipants, according to the study. Impaq noted that SNAP participation had an even greater impact for older adults threatened by hunger and who were food insecure. 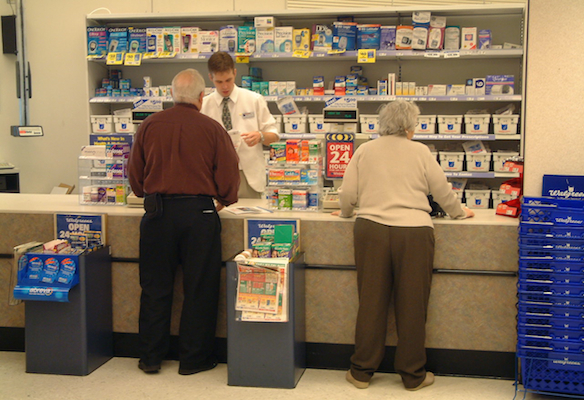 As a result, increased access to SNAP may better help low-income older adults afford their prescription drugs, in turn improving their health outcomes as well as mitigating the substantial health care costs related to nonadherence, Impaq explained. Only about 40% to 45% of eligible, low-income older adults participate in SNAP, a rate that carries a number of policy implications for state and federal governments, Impaq reported. The researcher said one way to reduce barriers to SNAP participation for older adults is to reduce the stigma associated with the program by touting the health benefits of participation and recasting the benefit as a health subsidy. That stigma certainly won’t be erased by making people in need accept boxes of food they didn’t ask for.